The whole story surrounding the decision by the European Union to authorize the use of glyphosate, the most widespread herbicide, is truly mysterious. An affaire noire on which it is necessary to shed light. The renewal of approval of glyphosate for 5 years, voted on 27 November by the countries of the Union in circumstances that might undermine the validity of the resolution, is a new turn of events that may put at risks the credibility of the European institutions and provoke an earthquake for the governability of “engine” Germany itself. This newspaper was among the first ones to denounce shady connections between scientists, seemingly independent magazines and Monsanto, the multinational company producing Roundup, the best known formulation based on glyphosate. Journalistic investigations had revealed relations of dependence, contracts and agreements to generate reassuring research, secretly inspired by the producting company. It also emerged that EFSA, the EU Authority for food safety, already accused by the NGO Ceo of having on their payroll many experts in conflict of interest with the companies whose products must be evaluated, had drafted a report to give the green light to glyphosate, without conducting further research on their own, but by copying relevant parts directly from the documents released by Monsanto. Such report had legitimized the propensity of the European Commission to authorize the sale of the substance for another 10 years. A scientific scandal and a vulnus on the respectability of the European institutions, which had pushed the Austrian government to ask the Commission to start an inquiry. It is vital to shed light on people and organizations, on ties, lobbies and non-obvious funding, which covertly affect political positions, scientific information and institutional decisions around the glyphosate affaire. The issue has become extrimely important since the IARC, the Cancer Research Institute of the World Health Organization, seen as the highest authority in oncology field, has classified the substance as a probable carcinogen. This research has been validated by the prestigious journal The Lancet Oncology and hundreds of scientific publications, collected by the National Library of Medicine of the United States, currently confirm the dangerousness of the substance. In Italy, the Ramazzini Institute has long been carrying out surveys of excellence on the worrying effects of low and constant glyphosate intake. This should at least lead to the precautionary principle. Last October, in fact, the European Parliament decided by a large majority (355 votes in favor, 204 against, 111 astentions) for the exit from glyphosate. However, it is a non-binding vote for the EU, as national governments can overrule it by finding a qualified majority among them. With a sale of 800.000 tons, for 5.4 billion dollars a year, glyphosate represents a colossal business, because the most widespread environmentally-harmful agricultural agent works in combination with a pervasive system of oligopoly of technical means and patents of GMO seeds, which must be combined, being specially designed to withstand the herbicide. Coldiretti has appropriately launched a campaign to denounce the indiscriminate use of glyphosate to at least limit both internal use and the importation into Italy of contaminated food. And that is the point: the agricultural future and the vision of Europe, as Carlo Petrini by Slow Food properly warns. Fair aspiration, on which however weighs the recent decision of the German Bayer to absorb the US Monsanto. 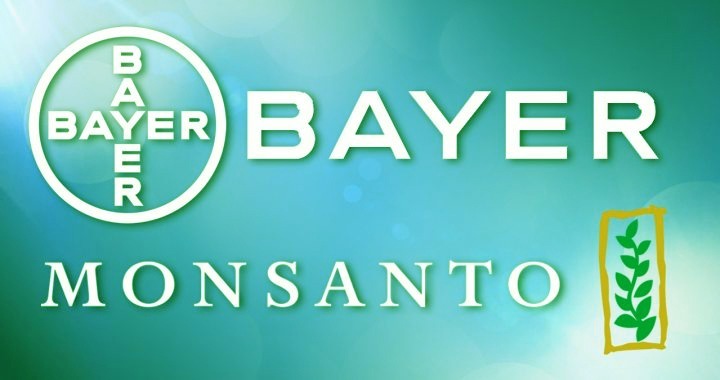 The merging into a single colossus that concentrates seeds, poisons, means and power, has already costed sixty-six billion euros to Bayer: however, the deal could prove less productive in the event of glyphosate being withdrawn. Determined to assert the common good over private interests, the “Stop Glifosathe Coalition” (it counts 51 organizations only in Italy) has launched a mobilization of great civil value for the abolition, supported by over a million and three hundred thousand European citizens, who have signed the appeal StopGlifosathe. Maurizio Martina, Minister of Agriculture of Italy, was the first to take over the request and put forward Italy to the European leadership of an eco-sustainable and innovative agriculture. This is also an important choice of strategic and political direction. It is not a coincidence that the country is already leader in organic and biodynamic farming (15% of cultivated fields), a rewarding choice also in economic terms, in light of the constant growth of the quality of food market both in terms of domestic product and jobs. The last twist on 27 November was the favorable vote to glyphosate by the European Union countries, with the German government pressed by public opinion not to vote for the renewal and its minister who instead voted in favor. That one vote, unbeknown to government and against public opinion, was able to overturn the outcome of the decision. A performance, if possible, even worse than the recent decision to move the European Medicines Agency to Netherlands adopted by flipping coins. The circumstances of this story should be enough to lead a firm opposition by European antitrust, which will soon have to make a decision on the merging Monsanto Bayer. After the vote, the newspapers described the fact as a bomb thrown against Angela Merkel and her uncertain majority, dropped by the Minister of Agriculture Schmidt of CSU, a Bavarian. More seriously, what we denounce here is the betrayal against citizens and scientific research killing off the hope of many farmers to be protected and enabled to set themselves free from those harmful substances. A productive system that kills the poorest by hunger and the richest for excesses should be denounced. Change is intertwined with the affirmation of the human right to know, on which the autonomy of democratic institutions and scientific institutes will soon depend vis-à-vis multinational companies, which by now exceed the States in terms of economic and political influence. Freedom of scientific research and information will depend on it. The right to know as a human right must precede and accompany public actions and decisions. We will have to know the organization of influence, the network of active and little-known relationships. We need to know everything about organizations like Bio Europe; it does not seem to be involved in this affaire, yet it is the largest and most influential organization governed together with competing biotech industries. We should know why political organizations “for freedom of choice” and “for the freedom of scientific research” stand up against scientists and in defense of government agencies if necessary. We should know all of this before decisions are made, in order to properly evaluate scientific research, opinion campaigns, institutional steps and political representations. Not only it is necessary a review of the decision of glyphosate taken on 27 november, as required by the Italian Stopglifosato coalition, but starting from what happens around the glyphosate affaire, citizens must obtain a commitment from the istitutions to shed light on their future.